The 2018-2019 NFL season came to an anticlimactic finish on Sunday. 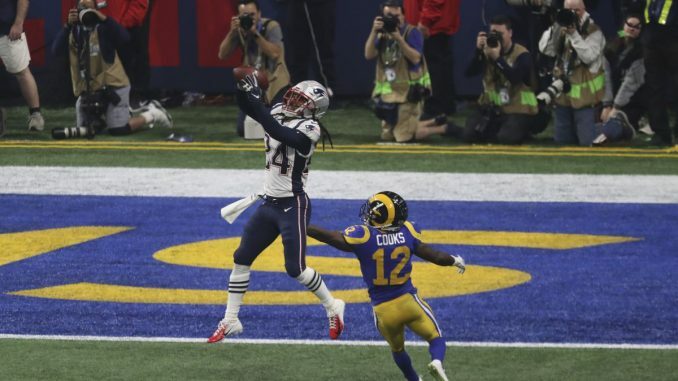 The New England Patriots defeated the Los Angeles Rams by a score of 13-3, making Super Bowl 53 record-breaking in all the worst ways. In a league where offensive play usually thrives, this was a game that relied heavily on defense and special teams. While the Rams played tough defensively, they could not get their offense going at all. Head coach Sean McVay took the blame for not making proper adjustments, stating that he “simply got outcoached.” Nine out of the Rams’ 12 possessions resulted in a punt, and they never ran a play inside the Patriots 20-yard-line. One of the few times they actually moved the ball, Jared Goff threw an interception that pretty much sealed the Patriots victory. The young Rams quarterback didn’t play like the rising star he seemed to be at the start of the season; instead he showed his age and his inexperience. Goff only completed 19 of his 38 pass attempts for 229 yards, finishing with a QBR of just 16.4. He went without a touchdown and put the ball back in the Patriots hands when the game was winding down. While many have criticized McVay for his play calling, Goff missed quite a few open opportunities. The 24-year-old had trouble reading New England’s coverage and therefore was not seeing the field well. He missed open receivers, resulting in either late passes that went incomplete or throws into tight windows. Along with the coverage, Goff also struggled to notice the blitz. The young quarterback was pressured and knocked down many times, including a third quarter sack where receiver Robert Woods attempted to point out the blitz to him prior to the play. It went unnoticed by Goff, and he was down shortly after. “I’m mad at myself, I wish I would’ve done things differently, I wish I could’ve made extra plays,” said Goff regretfully, but he hopes to learn from the experience and move forward. Many are also questioning the use of Todd Gurley. While L.A. has insisted that he was healthy, the star running back seemed like he was hardly on the field and only had 10 carries. After coming off of a rough Super Bowl loss last year, the Patriots played tough on Sunday and were able to get the win. In his ninth appearance, Hall of Fame quarterback Tom Brady had his worst Super Bowl performance, and yet the Patriots won by their largest margin. When their offense couldn’t get going, their defense saved the day. Bill Belichick and his team held the NFL’s second best offense to just three points, stopping them on nearly every drive. Prior to Super Bowl 53, there was only one occasion this season where the Rams failed to score 13 points. New England proved to be a versatile team these past few weeks with their ability to out duel the Chiefs 37-31 in the AFC Championship and then defeating the Rams in a low scoring defensive battle. Although he gave a less than impressive performance, Tom Brady saved his best for the fourth quarter, finally driving his team into the red zone where Sony Michel scored the only touchdown of the game.